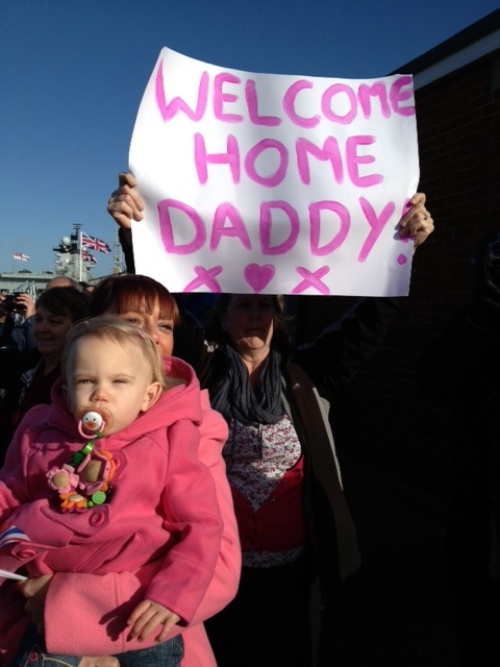 Families cheered and waved as their loved ones arrived home in Portsmouth on board a Royal Navy warship. 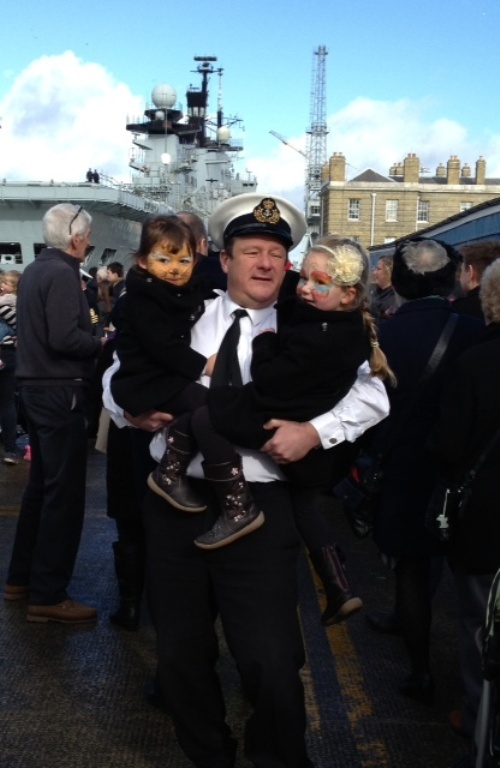 HMS Richmond has returned to its home port following a seven-month deployment to the Falkland Islands and the Atlantic. 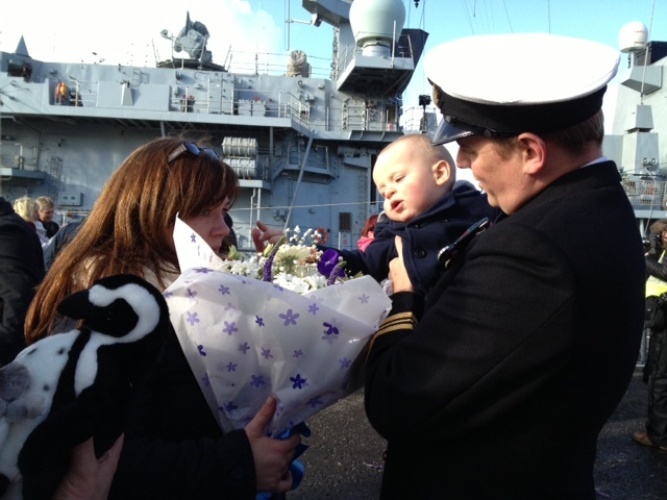 She arrived at Portsmouth Naval Base having spent 2,881 hours at sea, covering 33,316 nautical miles and visited seven foreign countries and five British Overseas Territories. "HMS Richmond has enjoyed a hugely successful seven-month operational deployment, conducting maritime security operations in the Atlantic, Antarctic, Eastern Pacific and Caribbean Sea. "Furthermore, we have been honoured to undertake defence diplomacy on five continents hosting an array of senior dignitaries, demonstrating the UK's commitment to the region and protecting our nation's interests. Lieutenant Commander Matt Smith, 34, from Viney Hill, Gloucestershire, was reunited with his eight-month-old son Benedict, and wife Emily. "I have been on board for the last two-and-a-half-months having joined in the Falklands. HMS Richmond has conducted a wide range of operations including working with the Cape Verde coastguard to conduct training, maritime security patrols of the Exclusive Economic Zones of Ascension Island, St Helena and Tristan Da Cunha (all British Overseas Territories) and assisting members of the British Antarctic Survey to reach South Georgia for conservation work. In the Falkland Islands the ship visited various settlements across the Islands and trained with the British Army and Royal Air Force. HMS Richmond was also honoured with a Personal Commendation for Distinguished Service from the Commander British Forces South Atlantic Islands, Air Commodore Russell La Forte.